Trailblazing country artist Cherish Lee will appear alongside country music legends and rising stars on Country’s Family Reunion Presents: Country’s Unbroken Circle Friday, December 7th at 8:00/7:00 PM CST on RFD-TV. 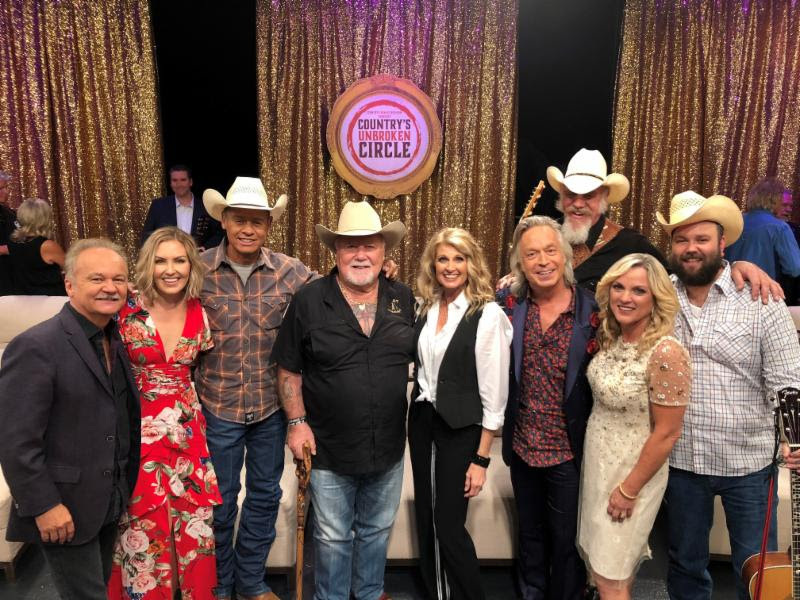 Celebrating the genre that binds them together, country artists old and new gathered in Nashville for an intimate taping of a new series from the producers of Country’s Family Reunion …Country’s Unbroken Circle. The show unites Family Reunion artists with up-and-comers who they believe have continued to carry on the tradition of real life messages and stories in their music. Cherish was honored to be invited into the circle alongside her Papa Bear, her father, Johnny Lee. Hosted by Bill Anderson, the new series featuring stories and performances from Nashville’s finest will air on Fridays through April. Tune in to watch Cherish perform her current and most meaningful single, “Ones You Leave Behind” within the circle. The emotional song delves into life after loss, a feeling all too familiar to Cherish who lost her younger brother to a heroin overdose in 2014. She has since used her platform to raise awareness of the dangers of the growing opioid epidemic. To locate the RFD-TV channel on your TV provider, click here. Daughter of entertainment icons, Johnny Lee (Urban Cowboy’s “Lookin’ for Love”) and Charlene Tilton (Lucy Ewing on hit TV show “DALLAS”), Cherish has been around the limelight her entire life. Her father helped to open many doors in country music…taking her on the road, performing at the infamous Ryman Auditorium and The Grand Ole Opry. However upon moving to Nashville, this Los Angeles native has solidified her own name in Music City. The release of her album, “Tequila Cowgirl”, at the beginning of the year landed her a sponsorship with the luxuriously crafted G4 Tequila and boasted two successful singles including her current release, “Ones You Leave Behind”. She has used this song to spread its important message in notable places such as CMA Music Festival, Tin Pan South Songwriter’s Festival, Today In Nashville and Dollywood. With a tour and new music expected in early 2019, Cherish will continue to capture fans across the country with honest and powerful storytelling and the blend of her classic country roots with a little rock ‘n’ roll edge. For more information on Cherish Lee visit CherishLeeMusic.com and follow her on Facebook, Instagram and Twitter.